As he showed with 2013’s excellent The Methuselah Tree, Scott Fox has not only measured up to the legacies of iVardensphere’s main sources of influence like This Morn’ Omina, but has found his own path in the smoky and winding terrain of tribal industrial. Fable certainly compounds that work, offering all manner of echoing and evocative soundscapes, but Fox has remained equally fascinated by the production and immediacy of dance music. 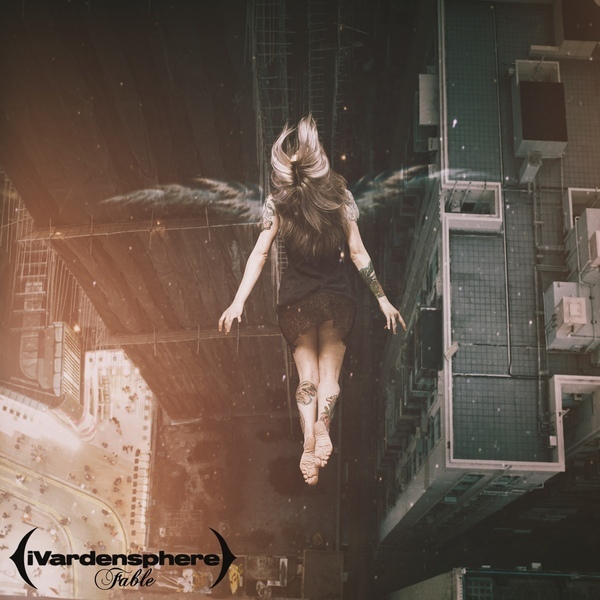 In a sense, the tension between those two creative concerns has been the driving engine of iVardensphere’s work over the last half decade. Each is well represented on the album, with “Stygian” and the absolute rager “A Tale of Two Wolves” acting as some of iVs most effective bids for club play, and “The Girl Without Hands” and the excellent “Tribes of Moth” repping the project’s more atmospheric and textured dimension. The distinctive presence of ESA’s Jamie Blacker and his gutteral vocals and top tier mastering from Comaduster’s Real Cardinal definitely strengthen Fable‘s impact, but the deep, grinding analogue synthwork and world percussion that make up the project’s core are pure Fox, and have rarely sounded as versatile or as forceful as they do here. Read our full review. While plenty of bands from the original futurepop explosion have been trucking along during Sascha Mario Klein’s absence, very few have managed to update the basic template that made so many waves before the genre collapsed in on itself after the turn of the millennium. Beyond the excellent songwriting and self-deprecating but sincere lyrics that have always been Neuroticfish’s calling card, the most notable thing about A Sign of Life is that it sounds contemporary, while still trading in futurepop’s classic integration of trance, synthpop and EBM. A big part of that is likely due to the presence of studio wizard Henning Verlage, who has been making hit records with Unheilig and producing for Blutengel for the last decade. But equally important is how prescient and universal this project has sounded since their classic run, an underrated stretch of albums that this LP stands shoulder to shoulder with. 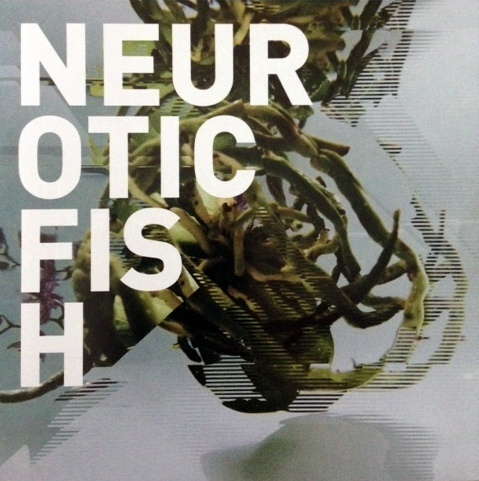 “Opposite of Me”, “Silence”, “Former Me”, “Illusion of Home”… hell, pick any song on the record, they’re all up there with the best Neuroticfish has ever recorded and released. Futurepop is dead, long live futurepop. Read our conversation about the album. 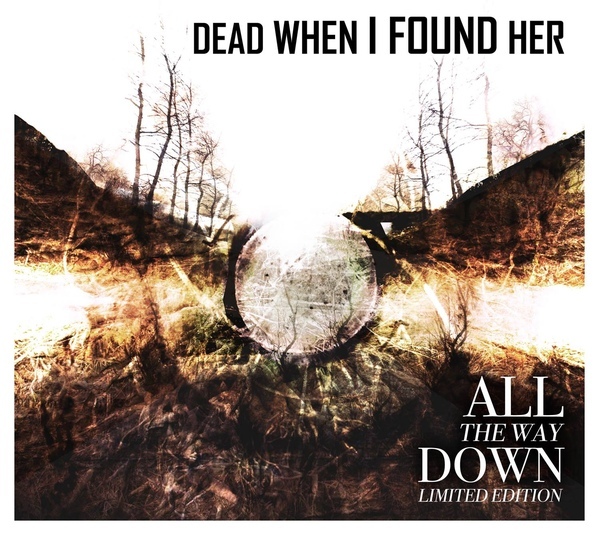 The changes Michael Arthur Holloway makes to Dead When I Found Her’s sound on his third record are significant, but so embedded within the subtle ethos that colours all of All The Way Down that it’s dangerously easy to overlook how much thought and effort went into them. The overarching theme of differing philosophies about facing death provides a clear and engaging thread throughout, carrying the listener through a radical reconsideration of how electro-industrial is ‘supposed’ to sound. From “Expiring Time”‘s reflective piano all the way through the litany of afterlife speculation which “At Rest” sets to mournful horns, Holloway puts the record’s concept up front and center so strongly that the musical mechanics, the stitching together of passages to yield the emotional and philosophical punch of All The Way Down almost go unnoticed. Rarely does the record make track breaks especially apparent, and singling individual songs out feels not only like a disservice to the album as a whole, but to the listener’s experience. You’re not going to ‘get it’ unless you notice how smoothly one moment leads to the next, until it’s all over. That’s maybe something an album about the end of our lives should be reminding us of. Read our full conversation about the album. The Transhuman Condition was such an auspicious debut, revitalizing electro-industrial, cybergoth, and futurepop sounds with elaborate and emotionally gut-punching tracks, that Encephalon seemed like prime candidates for a sophomore jinx. They’d either have to tread water and repeat THC, step back and strip things down (somewhat risky given the dividends widescreen production paid the first time), or go bigger. Much bigger. Matt Gifford and company chose the latter, but wisely took the time required to construct an LP with an even further-out concept than transhumanism upon which to build, and an even more ambitious framework of sounds in which to frame it. It’s almost a misnomer to call what Encephalon are making electro-industrial at this point; their sound has integrated so much additional orchestration, proggy instrumentation and intricate sonic fuckery that it seems fit to burst at any moment over the course of Psychogenesis. Encephalon didn’t take a step forward in 2015, they turned themselves inside out and then exploded, scattering countless fragments of self-replicating shrapnel into untouched regions of space in the process. Read our full review. The one thing that our traditional picks for album of the year always have is tenacity: they force themselves into headphones and playlists no matter the context, no matter our mood, no matter the other records we were supposed to be listening to and writing about. Definite Structures is a record which puts that insistence right up front as one of its strengths. From the melodic chimes and funk of “Hunger Cries” onwards, it’s clear that HFF, while still wearing their Portion Control and other foundational body music influences on their sleeves, came to dance rather than glower. Susan and Greg haven’t gone completely soft on us – “Afterbirth” and other tracks still pack a punch – but rather that they’ve opted to embrace a more holistic understanding of 80s industrial culture, with its innumerable bleeds into punk, funk, dub, and pop. That’s a vision of Our Thing that’s often forgotten about due to the increased striation of industrial into all manner of subgenres from the 90s onward. 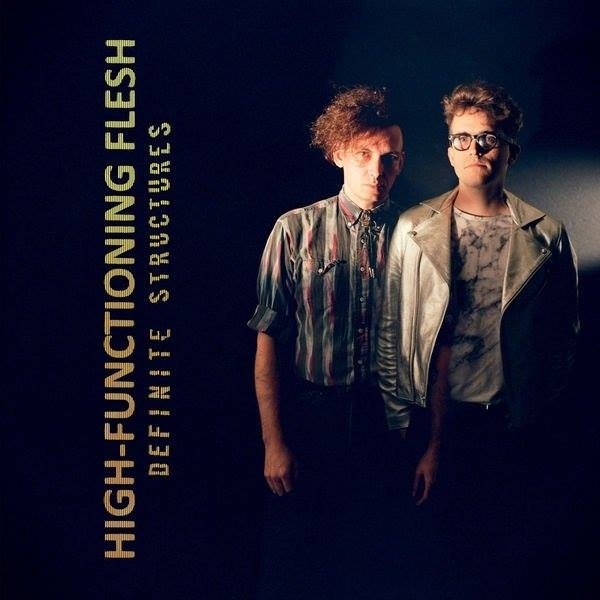 Definite Structures is, perhaps, a record tinged by nostalgia, but nostalgia for a period of chaos and hybrid magic, rather than for a time when ‘things were simpler’. It’s an LP that exists in a fantastical interzone of different schools and disciplines, belonging to none of them but punching its weight at any of them. Put “Mistakes Were Made”, “Grotesque Light” or “Confuse the Call” up against your favourite Severed Heads or Screamers songs, and you’ll find they can hang just fine. 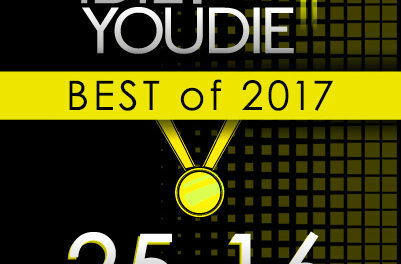 The other important quality every record we select as the best of the year has is that we feel they should be heard by literally every person with an interest in this thing of ours. By virtue of its elasticity, its mastery of form and its endless replayability, there was no other album we could have chosen but Definite Structures. 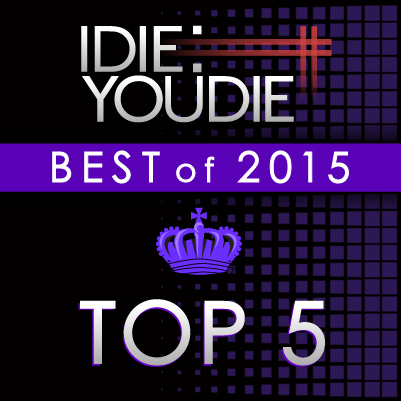 It’s our favourite of 2015, one we’ve been pushing on people all year long, and one we’re happy to recommend once again. Read our conversation about the album. And that’s (almost) all she wrote for us this calendar year. 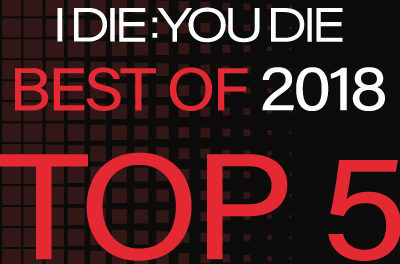 Thanks for spending a portion of 2015 here at I Die: You Die; make sure to check for a couple more podcasts before the 31st and we’ll see you back here on January 4th! A lot on that list for us to check out! It’s refreshing that there is no goblin trance in this list. Already mentioned this on Facebook, but I’m really surprised Agent Side Grinder didn’t make it. Many thanks for bringing Minuit Machine to my attention. Good stuff. 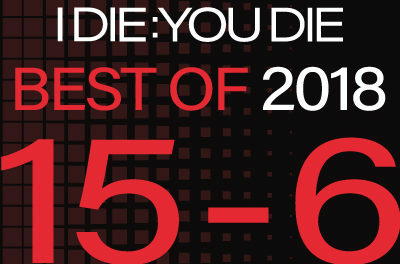 Great list, and plenty of records we liked on it! Not a bad list, though I have a problem with the lack of “ConunDrum” by Mon Taur. I’m a bit embarassed by the number of albums in your top 25 which I have not checked out yet, so I will try to use the holidays to catch up. Gonna check out that Michael Idehal! Thanks for the heads up! 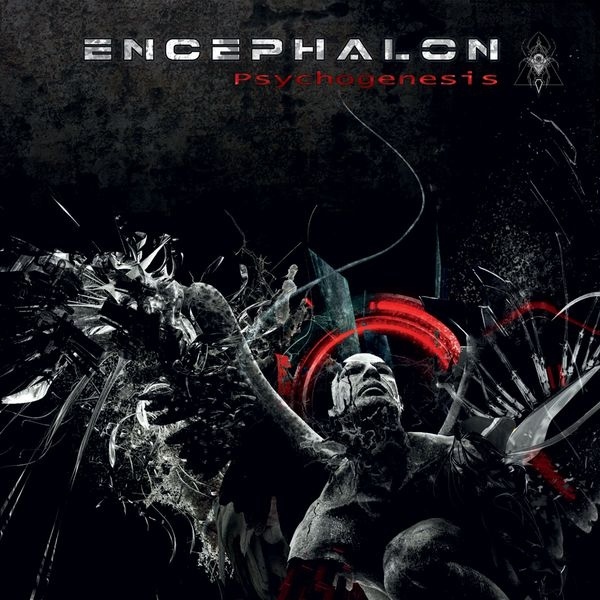 Listening to Encephalon now — it’s great. No list will please everyone. (The best lists don’t try.) But you’re remiss to leave out X Marks the Pedwalk. Holy crap. Encephalon is good. Really REALLY good. Dammit. I’d flagged that for an honorable mention but forgot to scribble it down. Yes, a very solid record which nicely consolidates their new sound. This isn’t my top ten list, this is simply what I listened to the most from 2015. Couple in there we need to check out! Thanks for the tips! I’ll offer my top five. Not the records I’d rank as the best if I were in your position of running a site dedicated to this sort of thing are trying to get good bands exposure, but the ones that I expect will stick with me the most in years to come. Other than that, the only album in my top 10 not in your top 25 was Nightmare Fortress’s “The Wanting”. What’s more interesting to talk about for me are the two records that didn’t quite work for me this year, namely Psychogenesis and Blendwerk. Both by bands I love. Both with ideas, themes and styles I expected to love. But months later they still don’t quite click for me. There are plenty of moments on each album that I greatly enjoy, but the overall picture for each remains muddled. I admire Encephalon’s ambition and creativity, and there are moments where it pays off in spades (Genomica, Malkuth), but overall I think the “sonic fuckery” you mentioned goes a bit beyond my comfort zone to the point where even after months worth of repeated listens I’m left struggling to comprehend the album instead of sitting back and enjoying it. As for Blendwerk, the songs mostly sound absolutely fantastic but I find the tone of the album emotionally confusing. Probably doesn’t help that I’m still fighting to put aside the completely wrong expectations I had for the album thanks to the pre-releases of “Perfection” and “Input Error”. I don’t know how much of my response is determined by those shattered expectations (which will fade) and how much is determined by my inability to process the album’s emotional subtleties (which will not fade), but something just feels off. I hate to be the killjoy in the thread of people gushing over their favorite releases, but I wanted to add my thoughts. Lovely reading your guys’ list as always. 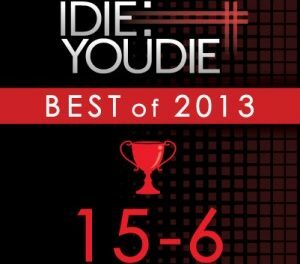 It was the 2014 list that first brought me to this site, and I am sure glad I found it! Great stuff, all around. Not at all dude, we love reading other people’s feelings about these records and how they landed differently with different people! Thanks for commenting, your stuff is always very interesting and insightful! Same as last year, I preferred more records in the 25-15 list. i think I’d like more of the other bands if it wasn’t for the rough vocals – the music is pretty good though. Thanks for another great year of coverage! A couple more of my faves were in your honourable mentions (Worms of the Earth, Agent Side Grinder). Here’s my top 10 by total listens, which obviously hurts late-year releases like DWIFH/Haujobb. I think the only one you didn’t cover in some capacity was kFactor. Oh yeah, that Keluar EP was killer! So, anybody who knows me would tell you I’m not a guy who makes snap decisions. And when it comes to something as important as music, well. I’m still catching up with a lot of the latest stuff – I have yet to introduce myself to the new Haujobb and Encephalon and Killing Joke, for instance – and it takes a long time for songs to really seep into my bloodstream, anyhow. I think I’m maybe about ready to compile my top ten releases of 2013. Maybe. Yes, I know that Rome really came out last year, but I decided not to plump for the box set and wait for the simple, unadorned CD. Likewise, Azar Swan was selling a limited edition CDr at their shows this year, and that’s how I acquired “And Blow Us a Kiss”. So, because I stubbornly cling to the medium of the CD for my music delivery, I count both of these as 2015 releases. Those last two bands are local acts here in Baltimore; Blacksage is a purveyor of unclassifiable dark wave R&B noir slow jams, Thrushes do dreamy shoe gaze-type stuff. Neither is an exact fit in “Our Thing”, but they push a lot of those same buttons, at least for me. It’s also fair to say that 2015 was good for music in the Charm City, if not in any other respect.